This month, Wizard101 celebrates six years being live. It's a great milestone for KingsIsle Entertainment, it's a great milestone for me. It brings me back to my early days at CodeWeavers; before I was the Quality Assurance Manager, before I understood what an online community could accomplish. Six years ago, I sat at my desk with a few months of tech support behind me. My boss (sounds so formal), the CEO of CodeWeavers, came to the ninja pit full of excitement. He was starry-eyed over a new game, Wizard101. He wanted to know if CrossOver could run it and wanted to know if one of us would be willing to take a look... to test it. Meanwhile, Wine 1.0 had just released and CrossOver had just updated to Wine 1.0. As a result, many Windows applications were beginning to work better on Mac and Linux, with CrossOver but not reliably. The possibility that Wizard101 would work was slim. Despite the odds, Wizard101 installed, it patched, and it launched. People in the office gathered around my desk to see. I was in game, I was ready to play... and I was invisible. My wizard was unseen. She was a ninja, like me-but I was left deflated. We moved along and so did Wine, so did CrossOver. Every release of Wine brought CrossOver leaps and bounds forward. Every release, every update, I tried Wizard101. I watched pieces of the game begin to work. I began to play the game and talk about it. I even sought spare time to play the game. In a year's time, we started handing out instructions on how to run Wizard101 on Mac and Linux systems. Another year went by and we launched C4 Profiles, CrossTies. This automated the installation of applications and simplified everything and Wizard101 was a prime candidate. 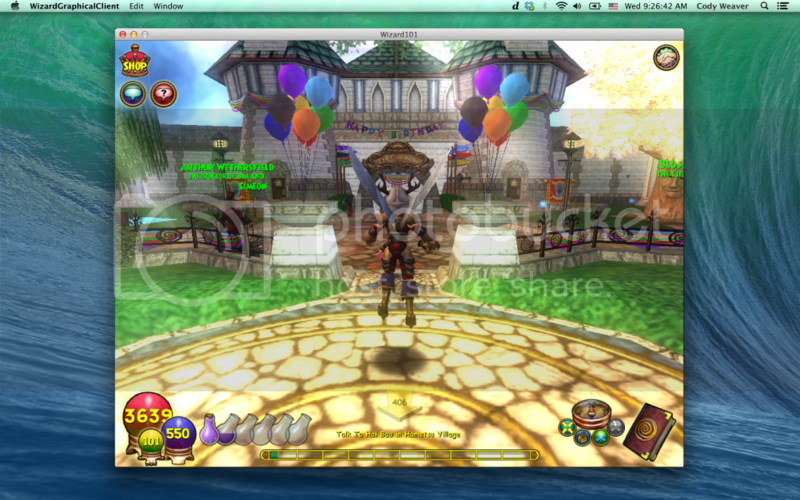 In June of 2010 the first automatic installation of Wizard101 for Mac and Linux went online. Its popularity soared, it became our number one download. We contacted the team at KingsIsle and CodeWeavers became the solution they recommended to Mac and Linux users. Eventually, we became their official Mac solution. Today, Wizard101 can not only be enjoyed on Windows, but thanks to CodeWeavers CrossOver technology it can be played on Mac and on Linux as well. Wizard101’s success demonstrates tangible improvements in Wine and CrossOver. We saw it install with problems, we watched it get better and we used the game as a measure for improving graphics. Wizard101 now runs extremely well on Linux and Mac systems because of the last year of Wine development. Happy Birthday, Wizard101! May there be many more to come!